Despite a strong return to standard sales, distressed properties still exist and are in high demand throughout the US. The properties are attractive for their perceived discounts and potential profits. Foreclosures, short sales and REO’s (real-estate-owned) are all considered distress sales, but are different from one another. Not every short sale is in foreclosure, but many are. Not all foreclosures are short sales. REO’s are not short sales, but some short sales end up as REO’s. It’s a complicated situation and may require specialized knowledge to handle the purchase. This is a home on which a Notice of Default has been filed in public records. The most common reason for foreclosure is nonpayment of the mortgage for a certain period of time, often as little as two months. 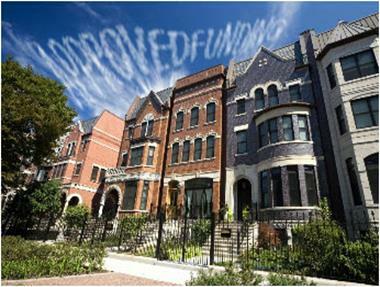 The lender then gives “notice” that they will sell the property unless the payments in arrears are brought up to date. If the loan is not brought current, the lender will foreclose upon the property, taking it away from the homeowner. Often the lender will auction the property to the highest bidder at a public sale. Not all foreclosures go to public sale; the homeowner has an irrevocable right for a specified period of time (known as the redemption period) to cure the default, including paying missed principal payments, back interest and foreclosure costs. Real estate investors and home buyers can often buy the foreclosed property for the amount owed. 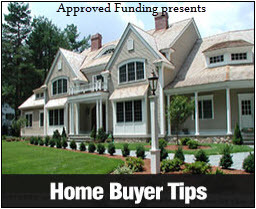 They see profit in acquiring the home and gaining the homeowner’s equity for free. The optimal time for buyers is during the time period after the foreclosure process has been initiated but before the foreclosure sale occurs; this is known as “pre-foreclosure.” Buyers are extended all the standard protections of regular purchase transactions – access to the property, expert inspection of the property, and the ability to qualify the purchase on the issuance of title insurance – as well as statutory protections, which mandate that the seller provide a “transfer disclosure statement” (disclosing property conditions). Many of these rights do not exist if a buyer purchases at the foreclosure sale or after the trustee’s sale. Potential drawbacks for buying at trustee sale include not being able to inspect the house before making a bid, possible eviction of current occupants, possible retaliation activities by occupant (including lack of repairs; theft/sale of appliances/fixtures; intentional damage, etc. ), or possible recorded liens against the property. 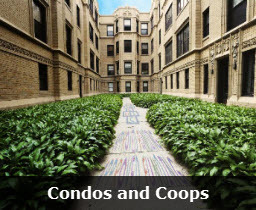 These homes are sold “as is.” Banks are not required to disclose what they don’t know. These situations can potentially be very costly for the buyer. These transactions are subject to the provisions of the Home Equity Sales Contract Act, which was designed to protect equity sellers from unscrupulous buyers and imposes obligations upon potential buyers of those properties. A major provision of the Act gives the seller an absolute right to cancel the contract within five days. The buyer cannot take title, transfer interest, or pay any consideration to the seller during this time. Buyers must also give the seller notice of that right to cancel, including a copy of the form to cancel. Other contract technicalities also apply to the buyer and their ‘representative’. Failure to comply with the Act carries severe penalties, including a provision that gives the seller the right to cancel the sale up to two years after the sale has closed and get the property back. This situation occurs when a lender agrees to accept less than the amount owed on a property; often the property is in foreclosure, but has not yet gone to public auction. Sellers do not need to be in default for a short sale to occur; values may have fallen or the seller may be over-encumbered (owe more than the home). Unlike with foreclosure, investor and buyers can purchase the home for less since they are not paying off existing loans or making up back payments. They are basically making a deal with the existing lender to take less to avoid dealing with the foreclosure process that can take time and cost the lender additional expense. Many short sales are listed low to spur multiple offers, but offers are still subject to lender approval. Lenders will require appraisals and often BPO’s (Broker Price Opinions). Short sales typically take two to four months to close, but have been known to take up to six months or longer. Sellers have to provide listing agents with a completed short sale package (hardship letter, tax returns, W-2’s, payroll stubs, financial statement, bank statements); often sellers are slow to return these documents. A seller may accept an offer, but it is still subject to acceptance by the lender or lenders. 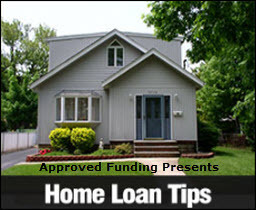 It is important to know how many mortgage loans are recorded; all lenders will need to sign off on the offer. The senior lender in first position will get the bulk of the proceeds; the second or third mortgage lender may have to write off significant amounts of their loans. In some cases, the mortgage loan may have been sold to another lender, further complicating the process. Buying a short sale makes great financial sense for a buyer who wants to occupy the home as well as for the investor wanting to get instant equity as long as they are willing to work their way through the long and complex process. An REO (Real Estate Owned) property is one that the lender owns. Many banks will not sell homes directly to buyers, usually listing with REO agents who specialize in such foreclosure listings. More commonly, banks will do bulk sales in which they package a number of properties into one transaction with one entity. Investor groups with deep pockets can usually negotiate the deepest discounts. Buying the REO is similar to buying a short sale. The lender usually acquires the property through a foreclosure and will often sell these repossessed homes for less than the past loan balance. Banks usually end up owning the property when there is not a bid sufficient to cover the amount owed on the property. Banks may utilize an asset manager who will list their properties with agents who specialize in REOs; often this may be dozens to hundred of properties. REO agents may also pay fees to asset managers, up to one-third of the listing agent’s commissions. The REO agent must produce volume to offset the discount. REO agents are also often contracted to secure and fix up the homes. These sales often generate multiple offers. 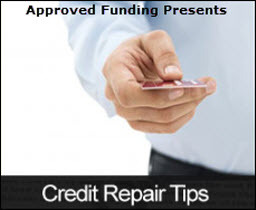 Lenders may accept the best offer or ask the top two or three to resubmit “Highest and Final” offers. Usually the bank’s accepted price is between the original mortgage balance(s) and the foreclosure sale price (which can be found on the Trustee’s Deed or Sheriff’s Deed). Many investors and buyers favor purchasing REO properties since sellers are no longer a part of the process. Many REOs are purchased directly from the bank or lender. There are distressed properties available for sale, but the process may be complicated. Buyers should consult with experts – real estate agents, attorneys, accountants and contractors – experienced with these types of transactions.